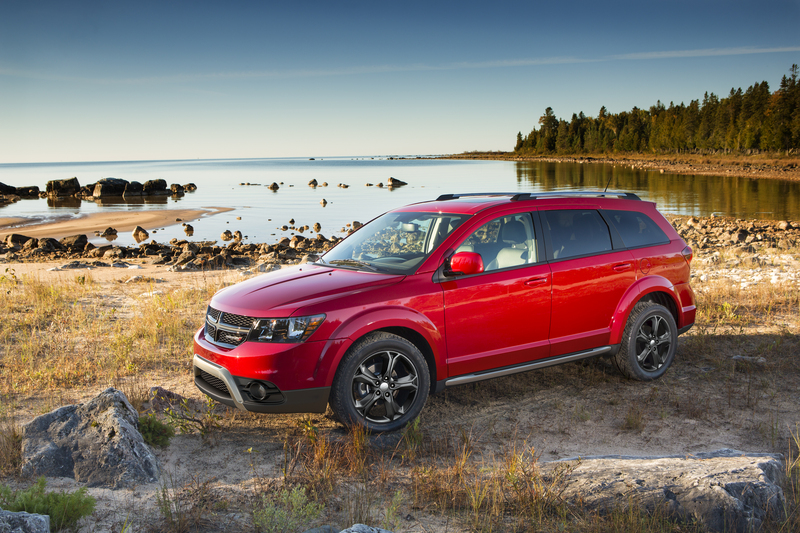 How Would We Describe the 2014 Dodge Journey Crossroad? Rugged and capable. These are the two words we would use to describe the 2014 Dodge Journey Crossroad. Let’s talk about that rugged styling. Dark-tinted head and tail lamps, 19-inch Hyper Black aluminum wheels, and a Gloss Black grille contribute to the crossover’s tough appearance. Inside, rugged meets luxury with black leather seating, innovative storage solutions, and the Uconnect infotainment system with an 8.4-inch touchscreen. Two back rows offer comfort for seven passengers or fold to provide space for over 67 cubic inches of cargo. As for its capability, combine the AWD system with the award-winning 3.6-liter Pentastar engine, and “capable” is an apt descriptor of the Journey Crossroad’s ability to handle any terrain you may traverse. The 2014 Dodge Journey Crossroad is now on display at the Chicago Auto Show, but we really can’t wait for it to display here at our Rothrock Chrysler Dodge Jeep Ram showrooms this spring. Joann, did you get the truck you were looking for? If you’re still looking, please give us a call at 866-213-1831 and we’d love to help you out.